From the beginning, it has always been about quality and the satisfaction of our clients. Over 30 years later we are still one of the most reputable ginger manufacturers in the world. TTA Company Limited traces its origin to the serendipitous meeting of our two co-founders, Mr. Pravit Pritsangkul and Mr. Lui Huei Shih in Taipei. Realizing that the pickled ginger business then located in Taiwan was nearing its end due to the rapid industrialization of the country, the two acquaintances foresaw Thailand as a suitable location for the industry, with its favorable climate necessary for the cultivation of ginger. 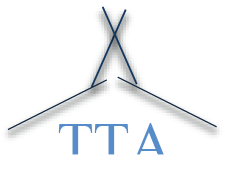 Thai-Tai-Co Agriculture Co., Ltd., known as TTA within the industry, was founded in 1981. Production began the following year at the small 2-acre factory located in Nakorn Pathom, 33 km west of Bangkok. After eleven years of production, a second 40-acre factory was opened in Chiang Rai, the northern-most province, where the best ginger with minimal fiber is grown in the country. The larger facility also translates to an increase in our production capacity to over 5,400 tons per year. Another momentous milestone for the company was the construction of Thailand’s First ASAZUKE Factory. TTA’s pride and joy and the only large-scale facility of its kind in existence, the innovative factory was built in 2004. The brainchild of Mr. Pritsangkul, this is where our premium ASAZUKE ginger is manufactured. By pickling ginger at 2 degrees Celsius at a much lower salinity of 6 baume, ASAZUKE ginger can better retain the freshness, natural aroma, and crisp texture of the spice normally lost during conventional, room-temperature pickling at the super saturated 20 baume salinity. The reduced sodium content also means that our premium product is better for consumers’ health. TTA will be launching a new product, crystallized ginger next year. We are confident that our superior ginger will help differentiate our product from ones currently found in the market.